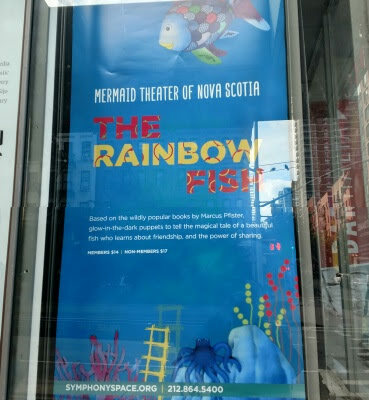 The family friendly "Just Kidding" performances at Symphony Space have lots of great shows, so we were excited to join "Lil Monster Meet Ups" to see Mermaid Theater of Nova Scotia’s “The Rainbow Fish”. Note: I was invited as media and received tickets for review purposes. Views expressed are always 100% my own. The Lil Monster Meet Ups are events geared towards children ages 6-16, with a focus on unplugged mindful play, wellness and entertainment. 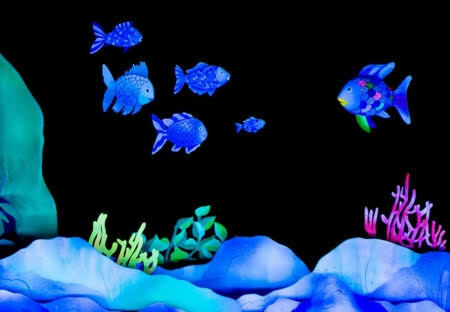 And seeing “The Rainbow Fish”, colorful glow-in-the-dark puppetry adaptation of a children’s classic tale, offered us lots of that! 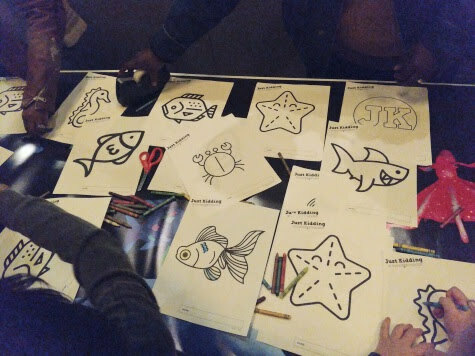 Before the show stared, the kids enjoyed “Rainbow Fish” themed activity of coloring sea creatures. 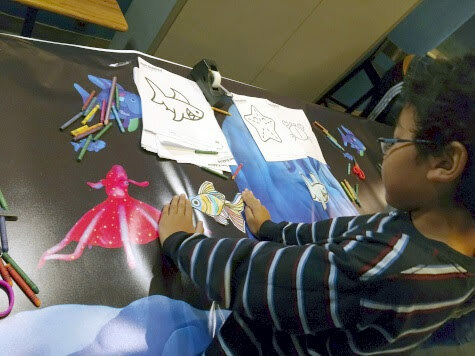 After coloring, the sea creatures were then cut out and glue on a colorful undersea banner. After the show the kids were excited to see their artwork on the banner at the back of the theater. The “Rainbow Fish” show itself was amazing. 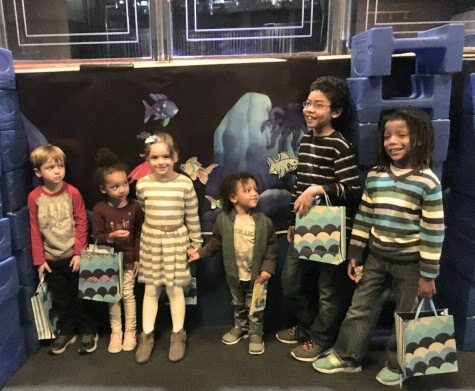 Three stories based on the “Rainbow Fish” book were brought to life, which delighted the children. They joined in the story telling at parts, helping to count and say what the “Rainbow Fish” was going to do next. 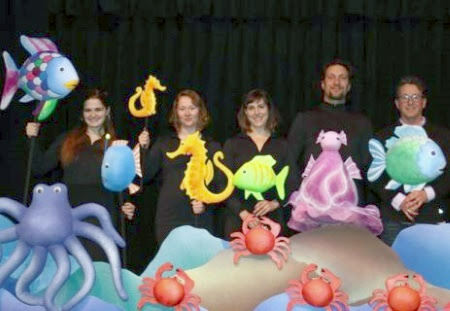 The colorful glow-in-the-dark puppetry really took the story telling to another level. As an adult I might have been just as spelled bounded as the kids as I watched each scene change. HA! 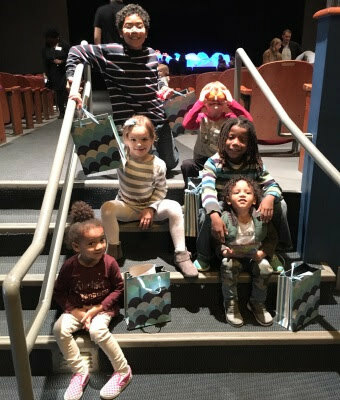 After seeing “The Rainbow Fish”, families were able to join in a Q&A session with cast members and learn more about the puppets and what goes into making the scene on stage. 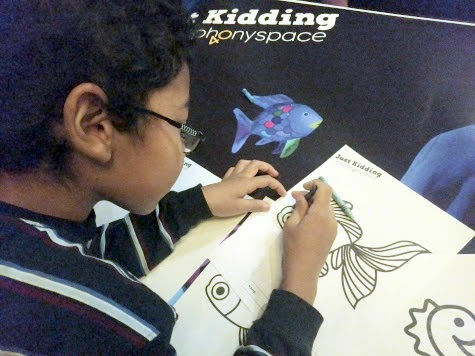 The kids asked lots of great questions and it was a great way to keep the “Rainbow Fish” magic in their minds. We had such a great time and can't wait to joined another "Lil Monster Meet Ups"